First guest on the Endurance Path podcast…! John Petrylak – 2017 National Ultra Endurance Mountain Bike Race Series Marathon Champion. John was nearly 240 lbs when he realized he needed to make some changes. He was getting active again when some buddies invited him to join them on a 4 person team for a 24 hour mountain bike race. John was hooked on the bike at that point… Fastforward to 2017 and John Petrylak wins the (NUE) National Ultra Endurance Marathon Race Series. 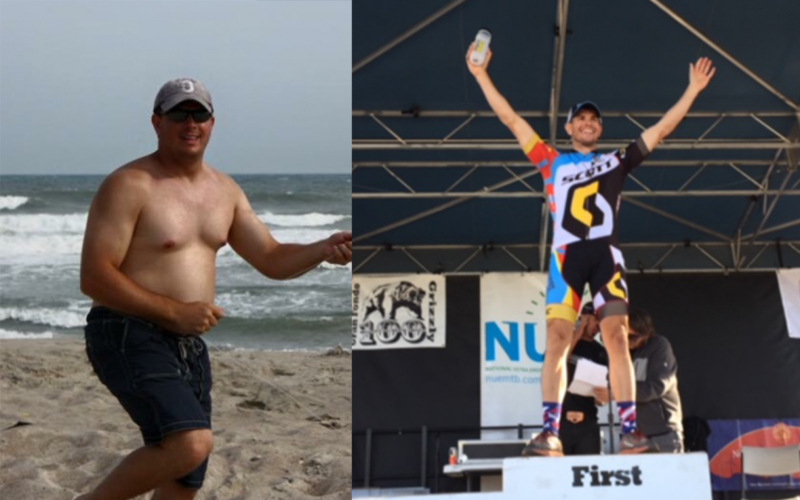 John walks us through his progression, we talk a little bit about losing weight, training and touch on quite a few different races. We also discuss the difference between racing the 100k Marathon distance races and the 100M Epic distance races. John has had success in both. We also talk about the community around mountain bike racing and making new friends in the sport. John shares his sponsors with us, including talking about his coach Jeremiah Bishop and his local shop Bike Factory of Charlottesville that goes beyond the extra mile to keep his bikes rolling and John on the race course. No doubt, John’s bikes get a lot of abuse with the amount of racing he has been doing and distances he has been racing.